For the Duserra and Dipawali Festival Tanishq Jewellery offer free Gold Coins. 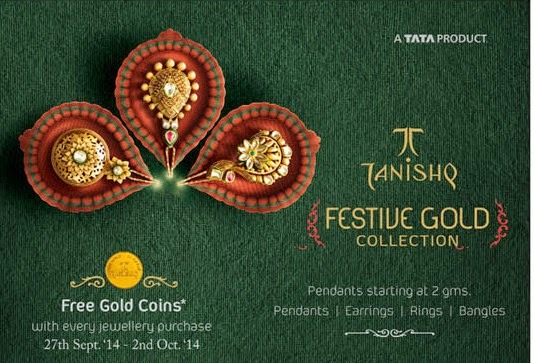 To get the Gold Coin Offer one has to Purchase any Jewellery from the Tanishq from 27th Sept 2014 to October 2nd 2014. You also get Pedants collections from as low as 2gm gold.